This entry was posted in Crossover Podcast and tagged Comic Books, Crossover Podcast, Film Reviews, Films, Hodgepodge, Marvel, Movie Reviews, Podcast, Superheroes. Bookmark the permalink. As was announced late last year, Doug and frequent guest of The Hodgepodge Podcast, author Matt King, started doing a Superhero/Comic Book Movie-themed podcast called The Crossover Podcast. Well, we’re happy to announce that the new home for The Crossover Podcast is right here at The Hodgepodge Podcast! We’re going to go ahead and re-post the first eight episodes before debuting the latest, Episode 9. Take a listen and see what you’ve been missing…or listening to somewhere else…whatever. If you want to link directly to The Crossover’s little section of The Hodgepodge Podcast, just bookmark the link below. We’re looking to get the podcast up on iTunes soon too, so be on the lookout for that! This entry was posted in Crossover Podcast and tagged Comic Books, Crossover Podcast, Film Reviews, Films, Hodgepodge, Movie Reviews, Podcast, Superheroes. Bookmark the permalink. Because one podcast isn’t enough for Doug, he has teamed up with friend of the Hodgepodge Podcast Matt King for the Crossover Podcast! The Crossover is a superhero-movie-centric podcast which will feature some comic book talk as well. If you enjoy the Hodgepodge, you’ll enjoy Crossover! Head on over to their Facebook and YouTube pages – the first episode is already up! This entry was posted in Crossover Podcast and tagged Crossover Podcast, DC Comics, Film Reviews, Films, Hodgepodge, Marvel Studios, Movie Reviews, Movies, Podcast, Superheroes. Bookmark the permalink. ONE person isn’t happy about the news. 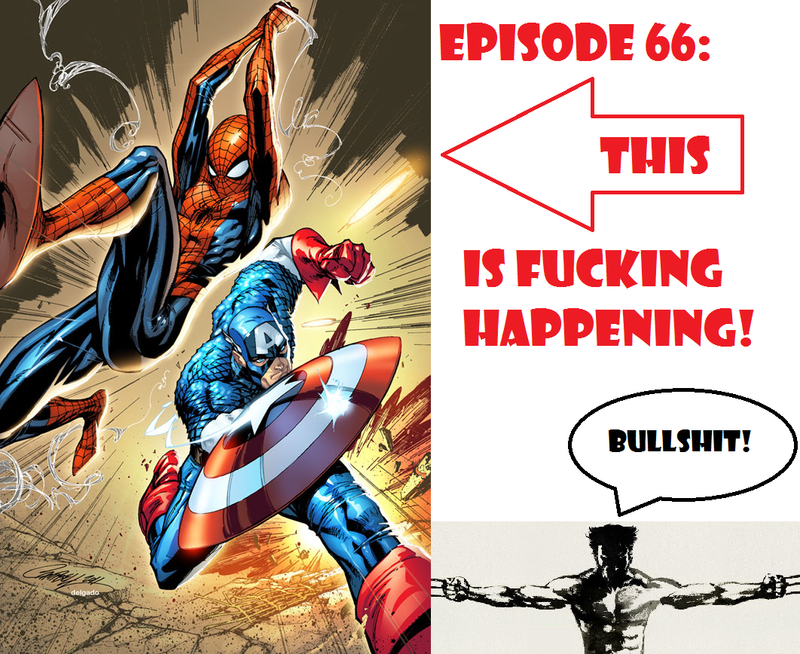 This entry was posted in Podcasts and tagged Andrew Garfield, Avengers, Captain America, Comic Books, Film Reviews, Films, Hodgepodge, Hugh Jackman, Kevin Feige, Marvel, Marvel Cinematic Universe, Marvel Comics, Marvel Studios, Movie Reviews, Movies, Podcast, Spider-Man, Superhero Movies, Superheroes, Wolverine, X-Men. Bookmark the permalink.